With today's advanced vehicle technology, cars are getting more like the Nasa Space Station so it is important that workshops have the latest diagnostic equipment and the best technical expertise available if they are to provide their customers with a professional service. 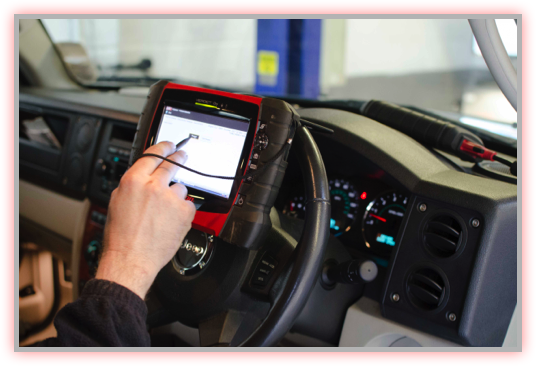 R and Y Autos have invested in the most up to date Snap On Diagnostic equipment and also other computer based systems. With this new system they have wireless flexibility means not being tied to the diagnostic connector, with the remote display, access live readings anywhere around the vehicle meaning they can check all electronics around the car getting up close to each area while testing them. "When your car operates at peak performance levels you save fuel and reduce the exhaust pollution - helping both your pocket and the environment in one go."